ChiIL Mama/ ChiIL Live Shows has 4 free tickets to see Dralion THIS Saturday at 3:30pm at Allstate Arena, for one lucky reader! Enter right here through midnight this Thursday, for your chance to win, then check back Friday 6/22 when we'll announce our winner. Spread the word and enter like we vote in Chi, IL...early and often!! This one's short and sweet. *Wait for Rafflecopter to load up right here (if you've gone through RSS feed or are scrolling down the blog and don't see it, click on the actual page title and it should pop right up). 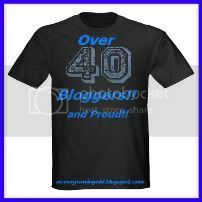 Entries accepted nationwide. Enter like we vote in Chi, IL...early and often. Winning rocks! **Also enter to win 4 Tickets to Disney's Beauty and The Beast Musical--by Chicago Shakespeare Theatre by clicking right here. You have 5 days left to enter. We're so stoked to be heading out to Allstate Arena this afternoon to shoot some hoops--not basketball, but Cirque du Soleil style, at Dralion's rehearsal. We'll likely even have another surprise performer video interview for you! Check out our original Dralion Interviews With Vanessa and Vladik here. Check out ChiIL Mama/ChiIL Live Shows interview with Vanessa, Senior PR Spokesperson for Cirque du Soleil's Touring Shows. She gave us the scoop on Dralion, the perfect show to see during 2012--the Chinese year of the Dragon! See clips of Dralion performers in action and get the story behind the show right here. 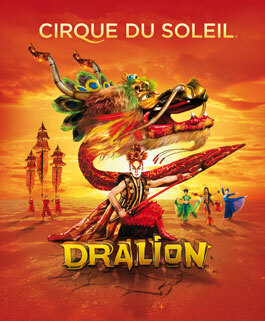 Dralion is coming to both Allstate Arena and United Center in Chicago this summer, starting June 20th. Click here for our full prior Dralion coverage on Vanessa including upcoming local philanthropy with CircEsteem, ticket purchasing links, and more. Check out ChiIL Mama/ChiIL Live Shows exclusive interview with Vladik, juggler with Cirque du Soleil's Dralion. It was truly a pleasure to chat with the 28 year old who was born into the Moscow Circus. He now combines elements of acro and dance with his juggling routines. Click here for our full prior Dralion Coverage on Vladik Then get your tickets today and make some Year of the Dragon memories! Family Fun-Ukefest is Back on 7/7!